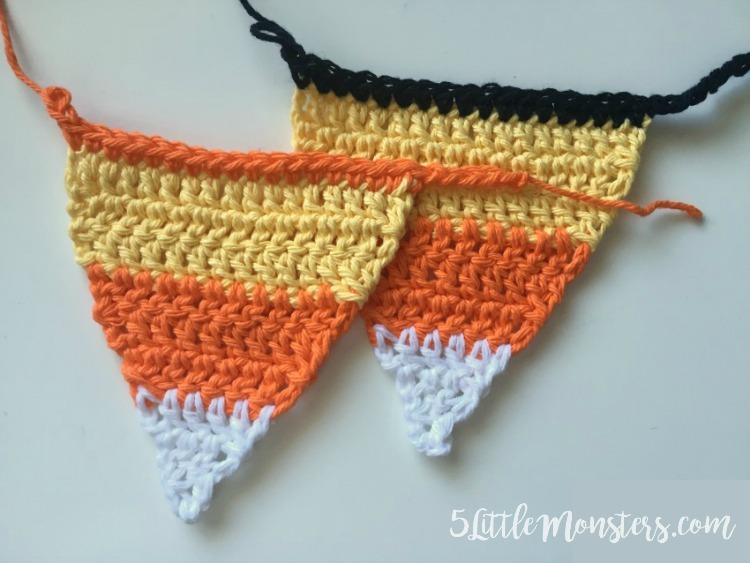 The candy corn are made by making a triangle shape of double crochet, it is pretty easy to make. I did three rows of each color to create the stripes of the candy corn. 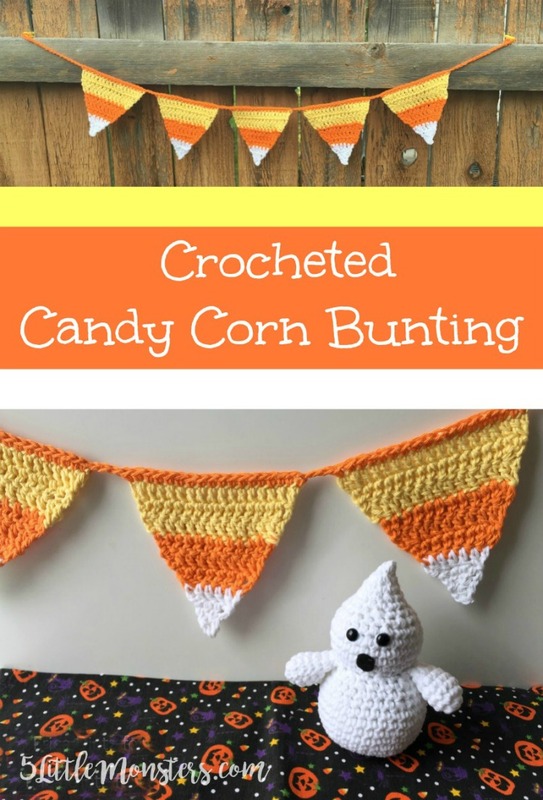 Then they are connected by single crocheting across the top of each candy corn and chaining in between. I originally planned to make the part across the top black, but when I tested it out I decided that it seemed a little darker than I wanted so I decided to use orange instead. I like both options, I just decided I preferred the orange. I thought I would show a picture of each just to show another color option. 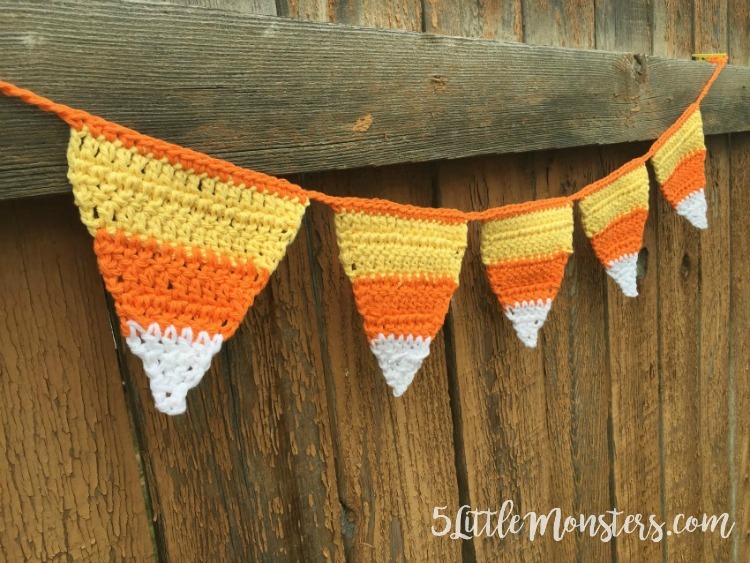 I made my bunting using 5 candy corn. You can make as many or as few as you like. The finished candy corn are about 5 inches across the top and 5 inches from the top to the point. 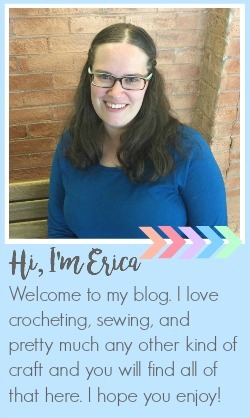 The entire length of my bunting, including the hanging ends, is about 43-44 inches. 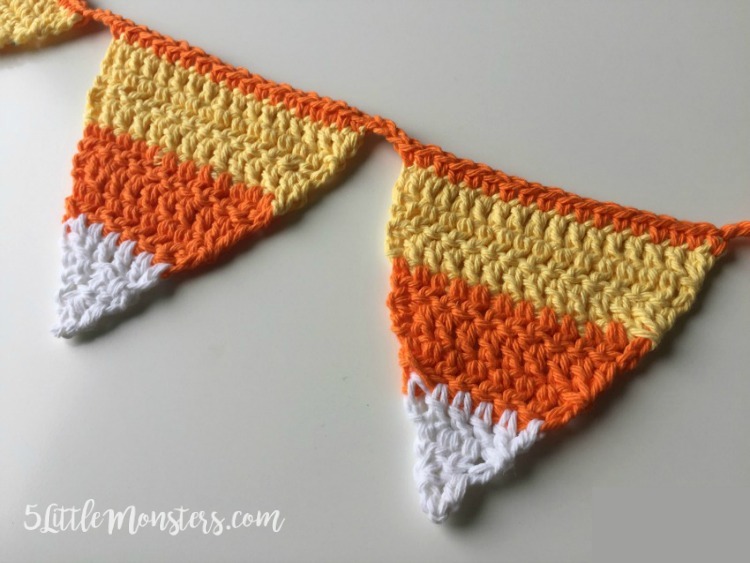 If you don't want to make a bunting the individual candy corn would make great coasters for Halloween time. You will begin by making all of your candy corn pieces. I made 5, you can make more or less depending on the length you want your bunting. Weave in ends on all of your candy corn and you are ready to connect all of them together. 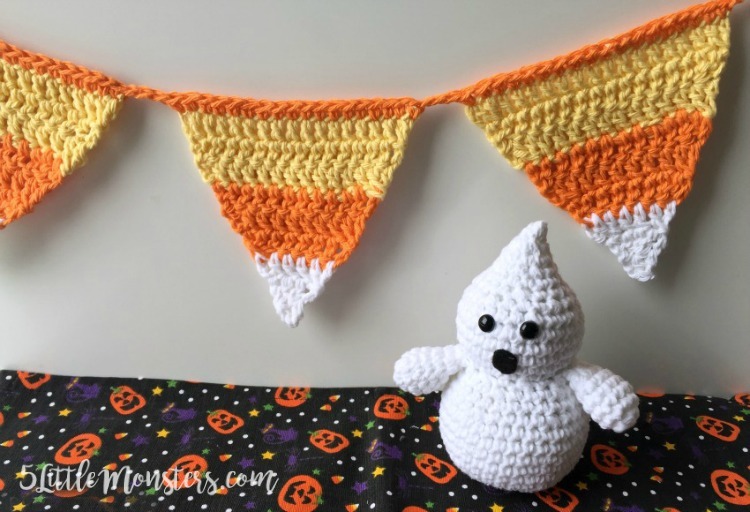 The crocheted candy corn bunting is pretty quick to make and a cute addition to your Halloween decor. I hope you like this fun little pattern.